Spring Fair is where people and products meet. The UK's definitive destination for the home and gift industry to come together, Birmingham, UK. Exhibitors from all across the world showcasing products across interiors, lighting and design, technology, security, kitchen and laundry equipment and more, the exhibition provides a 360 degree view of the market, Dubai UAE. TRANOÏ Preview has been the leading event of Paris Fashion Week since 1991. The event offers participating designers a unique visibility and opportunity to be exposed to key players in the fashion industry. Tranoi New York showcases products like This selection makes our show what it is: a valuable source of truly different, international creativity, high-quality and outstanding talent. 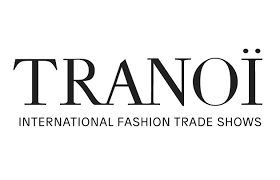 TRANOÏ has been the leading event of Paris Fashion Week since 1991, France.